This paper is intended to investigate the degree to which interaction and other predictors contribute to student satisfaction in online learning settings. This was a preliminary study towards a dissertation work which involved the establishment of interaction and satisfaction scales through a content validity survey. Regression analysis was performed to determine the contribution of predictor variables to student satisfaction. The effects of student background variables on predictors were explored. The results showed that learner-instructor interaction, learner-content interaction, and Internet self-efficacy were good predictors of student satisfaction while interactions among students and self-regulated learning did not contribute to student satisfaction. Learner-content interaction explained the largest unique variance in student satisfaction. Additionally, gender, class level, and time spent online per week seemed to have influence on learner-learner interaction, Internet self-efficacy, and self-regulation. Kuo, Y.C., Walker, A., Belland, B. & Schroder, K. (2013). A predictive study of student satisfaction in online education programs. 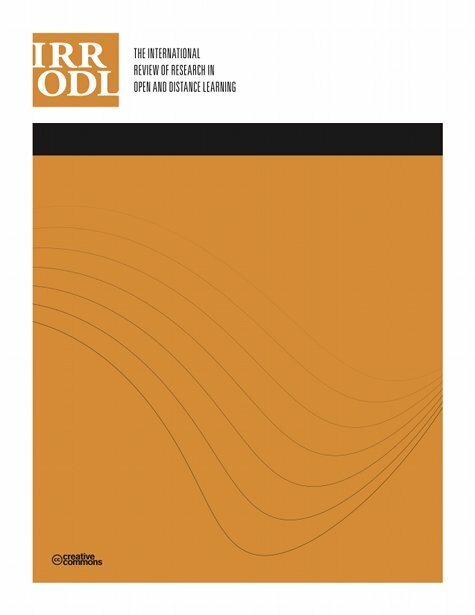 The International Review of Research in Open and Distributed Learning, 14 (1), 16-39. Athabasca University Press. Retrieved April 25, 2019 from https://www.learntechlib.org/p/49084/. Allen, M., Bourhis, J., Burrell, N., & Mabry, E. (2002). Comparing student satisfaction with distance education to traditional classrooms in higher education: A metaanalysis. The American Journal of Distance Education, 16(2), 83-97. An, Y.J., & Reigeluth, C.M. (2008). Problem-based learning in online environments. Quarterly Review of Distance Education, 9(1), 1–16. Anderson, T. (2003). Modes of interaction in distance education: Recent developments and research questions. In M.G. Moore& W.G. Anderson (Eds. ), Handbook of distance education (pp. 129-144). Mahwah, NJ: Erlbaum. Anderson, T.D., & Garrison, D.R. (1995). Transactional issues in distance education: The impact of design in audioteleconferencing. The American Journal of Distance Education, 9(2), 27-45. Artino, A.R. (2007). Online military training: Using a social cognitive view of motivation and self-regulation to understand students’ satisfaction, perceived learning, and choice. Quarterly Review of Distance Education, 8(3), 191-202. Bolliger, D.U., & Martindale, T. (2004). Key factors for determining student satisfaction in online courses. International Journal on E-Learning, 3(1), 61-67. Bray, E., Aoki, K., & Dlugosh, L. (2008). Predictors of learning satisfaction in Japanese online distance learners. International Review of Research in Open& Distance Learning, 9(3), 1-24. Brockett, R.G., & Hiemstra, R. (1991). Self-direction in adult learning: Perspectives on theory, research, and practice. New York, NY: Routledge. Brown, B.W., & Liedholm, C.E. (2002). Can web courses replace the classroom in principles of microeconomics? American Economics Review, 92(2), 444-448. Chejlyk, S. (2006). The effects of online course format and three components of student perceived interactions on overall course satisfaction. Dissertation Abstracts International, 67(04). (UMI No. 3213421). Choy, S., McNickle, C., & Clayton, C. (2002). Learner expectations and experiences: An examination of student views of support in online learning. Leabrook, SA: Australian National Training Authority. Cohen, R.J., & Swerdlik, M.E. (2004). Psychological testing and assessment: An introduction to tests and measurements. New York, NY: McGraw-Hill. Corno, L. (1986). The metacognitive control components of self-regulated learning. Contemporary Educational Psychology, 11(4), 333-346. Corno, L., & Mandinach, E.B. (1983). The role of cognitive engagement in classroom learning and motivation. Educational Psychologist, 18(2), 88-108. Chu, R.J., & Chu, A.Z. (2010). Multi-level analysis of peer support, Internet selfefficacy and e-learning outcomes: The contextual effects of collectivism and group potency. Computer& Education, 55, 145-154. Debourgh, G. (1999). Technology is the tool, teaching is the task: Student satisfaction in distance learning. Paper presented at the Society for Information and Technology& Teacher Education International Conference, San Antonio, TX. Hillman, C.A., Willis, D.J., & Gunawardena, C.N. (1995). Learner-interface interaction in distance education: An extension of contemporary models and strategies for practitioners. American Journal of Distance Education, 8(2), 30-42. Hodges, C.B. (2008). Self-efficacy in the context of online learning environments: A review of the literature and directions for research. Performance Improvement Quarterly, 20(3/4), 7-25. Johnson, S.D., Aragon, S.R., Shaik, N., & Palma-Rivas, N. (2000). Comparative analysis of learner satisfaction and learning outomes in online and face-to-face learning environments. Journal of Interactive Learning Research, 11(1), 29-49. Kaminski, K., Switzer, J., & Gloeckner, G. (2009). Workforce readiness: A study of university students’ fluency with information technology. Computers& Education, 53(2), 228-233. Keeler, L.C. (2006). Student satisfaction and types of interaction in distance education courses. Dissertation Abstracts International, 67(09). (UMI No. 3233345). Keller, J.M. (1983). Motivational design of instruction. In C. Reigeluth (Ed. ), Instructional design theories and models: An overview of their current status (pp. 386-434). Hillsdale, NJ: Erlbaum. Koseke, G.F., & Koseke, R.D. (1991). Student burnout as a mediator of the stressoutcome relationship. Research in Higher Education, 32(4), 415-431. Moore, M.G., & Kearsley, G. (1996). Distance education: A systems view. New York, NY: Wadsworth. Northrup, P., Lee, R., & Burgess, V. (2002). Learner perceptions of online interaction. Paper presented at ED-MEDIA 2002 World Conference on Educational Multimedia, Hypermedia& Telecommunications, Denver, CO.
Olmstead, J. (2007). Program development, implementation and evaluation: Lessons learned at the University of Wisconsin-Stout. Techniques, 82(6), 22-23. Parsad, B., & Lewis, L. (2008). Distance education at degree-granting postsecondary institutions: 2006-07. Pintrich, P.R., & De Groot, E.V. (1990). Motivational and self-regulated learning components of classroom academic performance. Journal of Educational Psychology, 82(1), 33-40. Pintrich, P.R., Smith, D.A., Garcia, T., & McKeachie, W.J. (1993). Reliability and predictive validity of the motivated strategies for learning questionnaire (MSLQ). Educational and Psychological Measurement, 53(3), 801-813. Roach, V., & Lemasters, L. (2006). Satisfaction with online learning: A comparative descriptive study. Journal of Interactive Online Learning, 5(3), 317-332. Rodriguez Robles, F.M. (2006). Learner characteristic, interaction and support service variables as predictors of satisfaction in Web-based distance education. Dissertation Abstracts International, 67(07). (UMI No. 3224964). Sahin, I. (2007). Predicting student satisfaction in distance education and learning environments. (ERIC Document Reproduction Service No. ED496541). Stevens, J.P. (2002). Applied multivariate statistics for the social sciences. New Jersey: Lawrence Erlbaum Associates. Thurmond, V.A., & Wambach, K. (2004). Understanding interactions in distance education: A review of the literature. International Journal of Instructional Technology and Distance Learning, 1(1), 9-26. Thompson, L.F., Meriac, J.P., & Cope, J.G. (2002). Motivating online performance: The influences of goal setting and internet self-efficacy. Social Science Computer Review, 20(2), 149-160. Yukselturk, E., & Yildirim, Z. (2008). Investigation of interaction, online support, course structure and flexibility as the contributing factors to students’ satisfaction in an online certificate program. Educational Technology& Society, 11(4), 51-65. Zimmerman, B.J. (1989). A social cognitive view of self-regulated academic learning. Journal of Educational Psychology, 81(3), 329-339. Zimmerman, B.J., & Martinez-Pons, M. (1986). Development of a structured interview for assessing student use of self-regulated learning strategies. American Educational Research Journal, 23(4), 614-628. Zimmerman, B.J., & Martinez-Pons, M. (1988). Construct validation of a strategy model of student self-regulated learning. Journal of Educational Psychology, 80(3), 284-290. Zimmerman, B.J., & Schunk, D.H. (1989). Self-regulated learning and academic achievement: Theory, research, and practice. New York, NY: Springer-Verlag.